The Amerock BP15862FB Inspirations 1-3/4in(44mm) DIA Knob is finished in Flat Black. Clean, classic lines in a casual relaxed style, Inspirations is designed to compliment any dicor. Flat Black is a dark, matte Black finish that subdues the highlights of each design. Inspirations 1-3/4 Inch (44mm) DIA Knob - Flat Black The Amerock BP15862FB Inspirations 1-3/4in(44mm) DIA Knob is finished in Flat Black. Clean, classic lines in a casual relaxed style, Inspirations is designed to compliment any dicor. Flat Black is a dark, matte Black finish that subdues the highlights of each design. 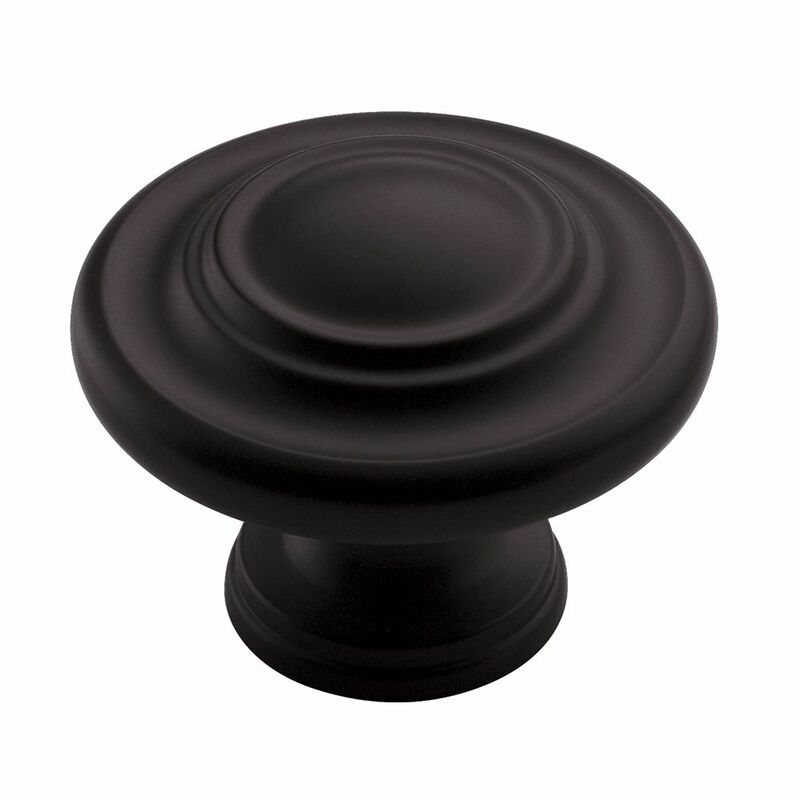 Inspirations 1-3/4 Inch (44mm) DIA Knob - Flat Black is rated 5.0 out of 5 by 1. Rated 5 out of 5 by MLP from Just what I was looking for. I wanted these for... Just what I was looking for. I wanted these for my closet bi-fold doors and they are perfect.